This is a new kind of license to deal with piracy on the internet. The idea is simply that people who pirate software, content, or anything else on the internet have no interest in paying you money. So, instead of paying us money, they can help distribute our product to those who will. The terms are pretty simple. If you acquire something licensed with the Pirate License, you are a pirate. You are plundering our product. Instead of suing you for stealing, we ask that you pass the product along to more people. Give it to your friends, family, or anyone else you think would like our product. If you acquire our product under the Pirate License and are not a pirate, we ask that you purchase our product if you are getting value from it. If you can’t afford it, you can pay us by sharing the “Pirated” version. 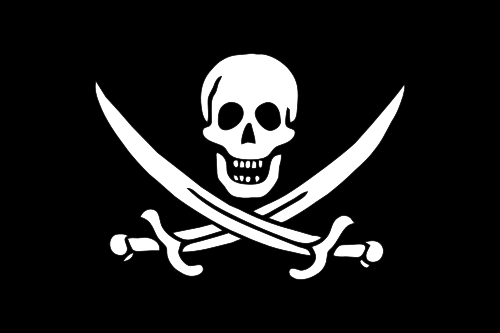 Be a respectful pirate and please keep the Pirate License intact alongside the content. Also, as a respectful pirate, do not attempt to resell Pirate Licensed content. There is no honor amongst thieves, but there can be amongst pirates. What skills do self-taught programmers commonly lack? What is the secret to selling online?